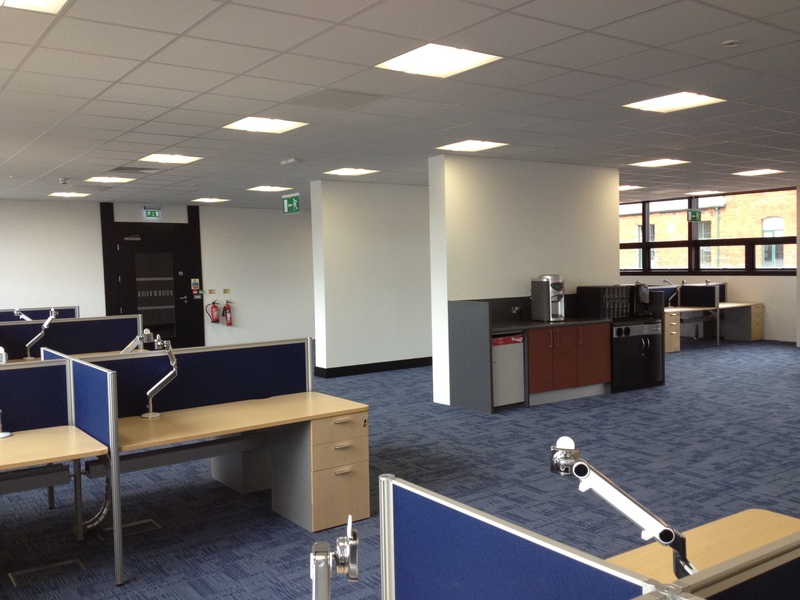 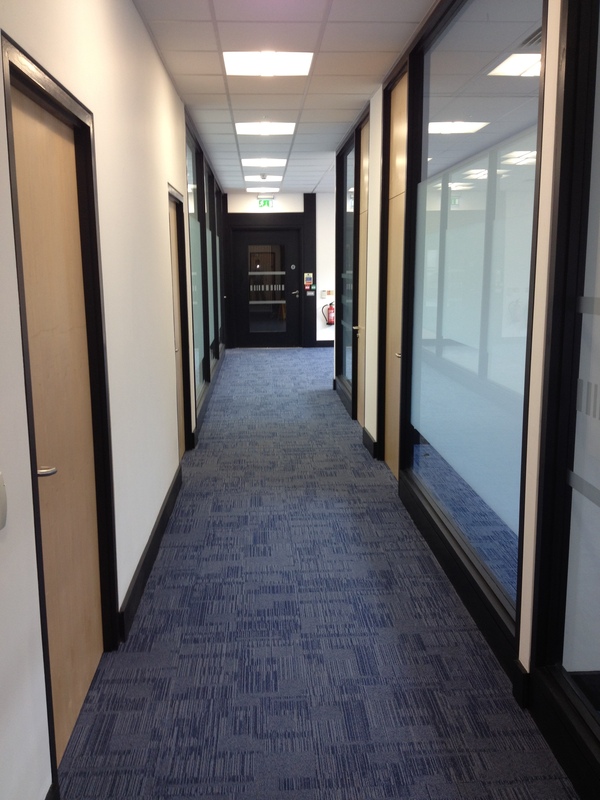 H&J Martin Fit Out undertook this new office fit out comprising of a 2 floor grade A fit out within a live office complex to provide a new prestigious base for Allianz insurance in Belfast. 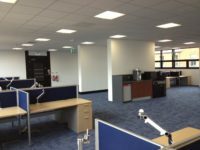 This project involved the fit out of approximately 14,000 square metres of high quality office space as well as new WC’s and showers to circulation areas. 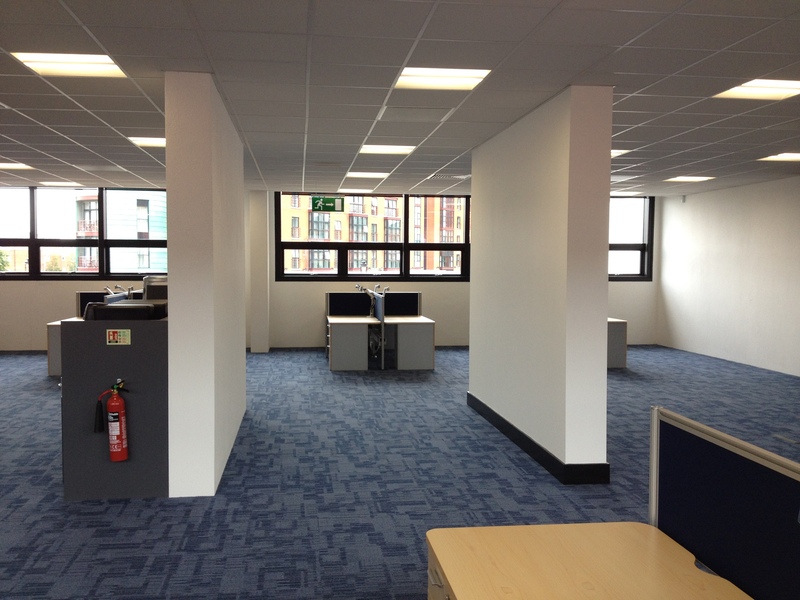 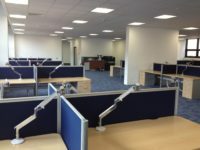 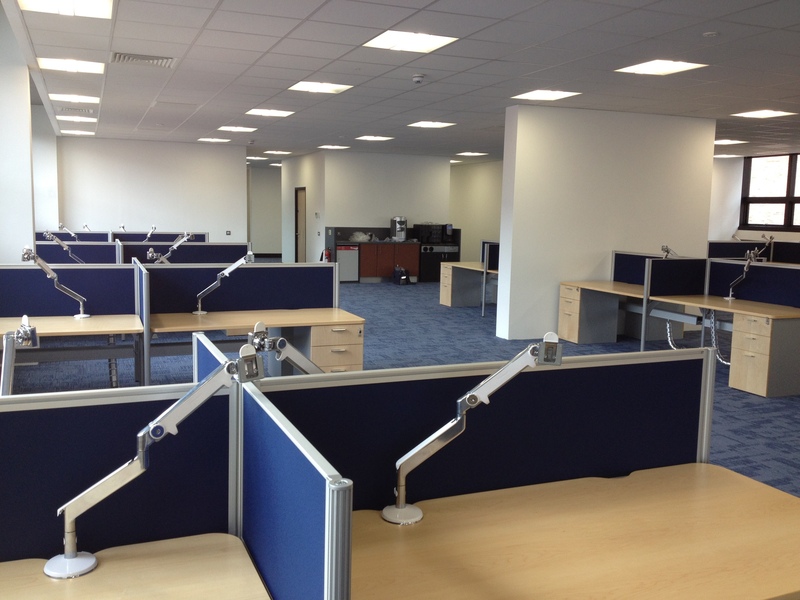 Works packages included Mechanical, Electrical, Raised Access Computer Flooring, Soft Floor Coverings (Carpet and Vinyl), Hard Floor Coverings (Ceramic Tiling), Specialist Joinery (Reception Desks, Tea Stations and Glazed Internal Partition Screens), Specialist Doors, Decoration, Specialist Signage, Plasterboard and Metal Stud Partitions and Suspended Ceilings. 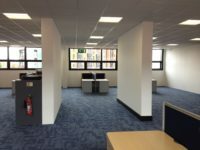 The works were delivered on time & to budget despite working/access restrictions associated with a live site environment such as loading/unloading restrictions and access to the buildings central staircase being restricted at all times.